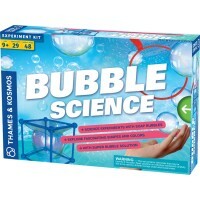 Scientific Explorer Bubble Gum Factory Science Kit is a super exciting science toy that lets you make your own bubblegum! 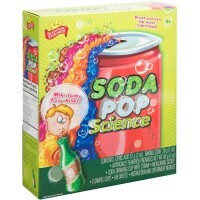 Chew, pop, create! 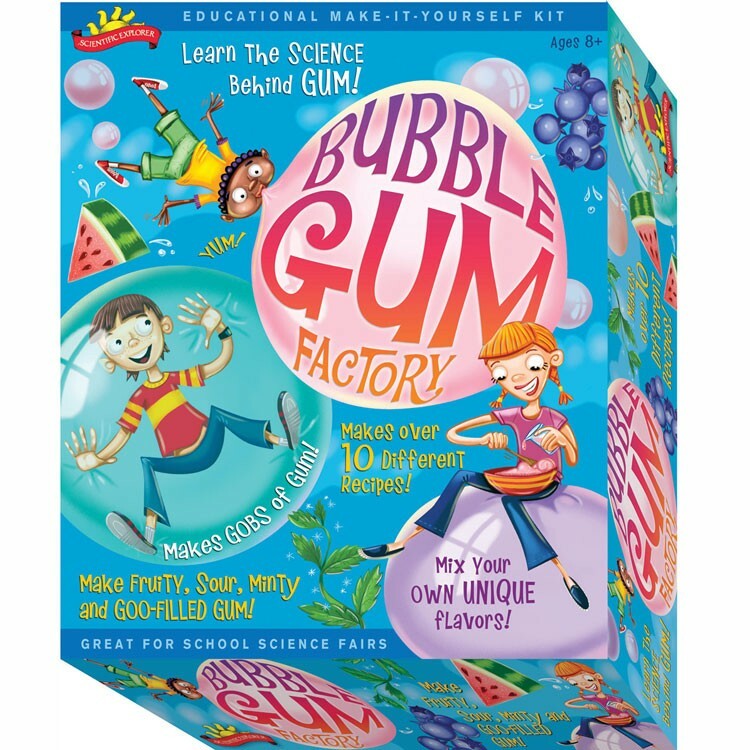 Educational Toys Planet is proud to present Bubble Gum Factory Science Kit, a super exciting science toy that lets you make your own bubblegum! 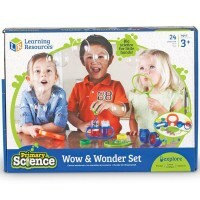 Scientific Explorer designed this tasty chemistry kit. 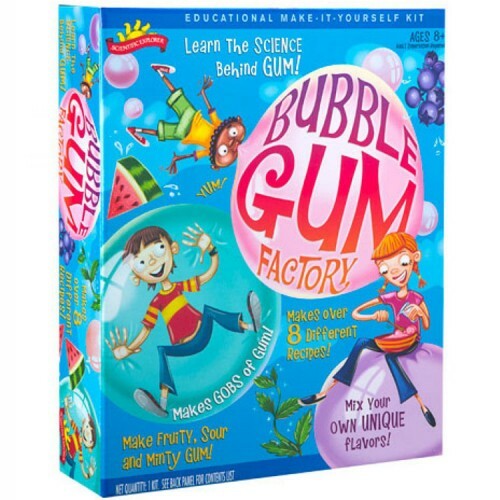 Not only will you learn the science behind gum, but you will even be able to mix your own unique flavors and create over 10 different recipes. 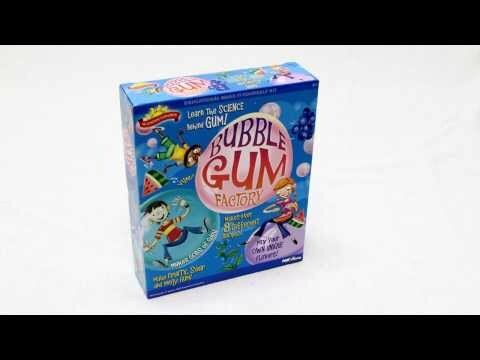 What's your favorite gum flavor? Fruity? 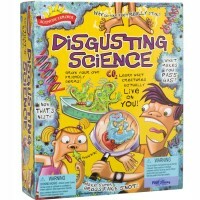 Sour? Minty? 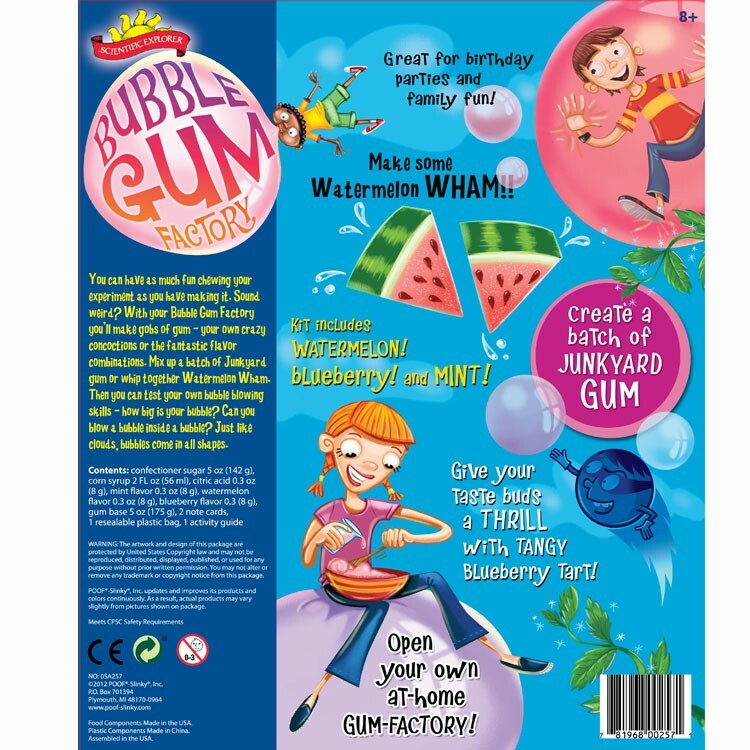 Or maybe even goo filled gum? 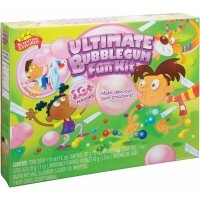 Try all these flavors as you experiment with special gum recipes from the Bubble Gum Factory Science Kit. 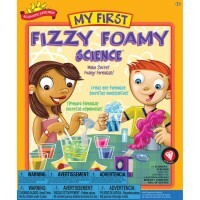 Your child will develop measuring skills and other chemistry talents as they balance ingredients to create gobs of gum. 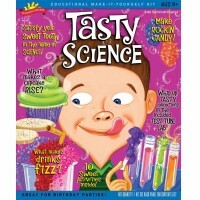 A sweet and flavorful way to get all children excited about science! 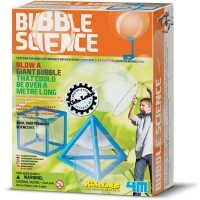 Dimensions of package 2.75" x 10" x 12"
Write your own review of Bubble Gum Factory Science Kit. 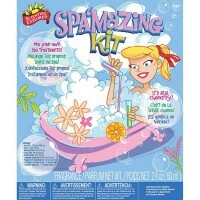 Rating: 5 by Brianna, MD This kit is so much fun for my 9 y.o. daughter. 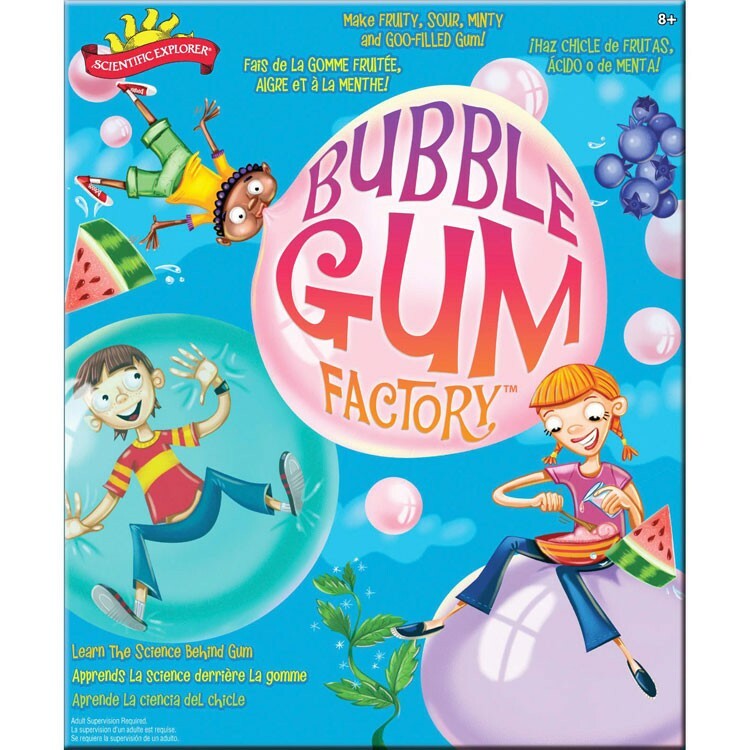 She made gum for every family member, of every color and flavor. 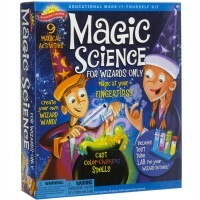 Something different for kids to do.